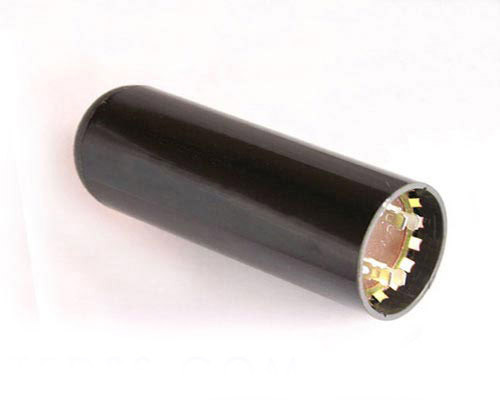 This is a compact non-polar dual voltage rated, AC motor start capacitor constructed in a round bakelite case. It has dual quick-connect terminals. Made in USA.